Trainer Pat Carey hopes to end a run of placings with Khartoum in the Pakenham Cup. Pat Carey is hoping improving stayer Khartoum can end a frustrating run of placings for the stable when he contests the Pakenham Cup. Victory in Saturday’s race would also be redemption for the gelding who was narrowly touched out in last year’s running by Leica Carousel. Khartoum gave Carey his most recent victory at Ballarat on November 24 under Fred Kersley who will again be aboard the stayer in Saturday’s 2500m-race which carries $300,000 in prize money. Carey has saddled 11 runners since Khartoum was successful at Ballarat, registering six placings, of which four have been seconds. 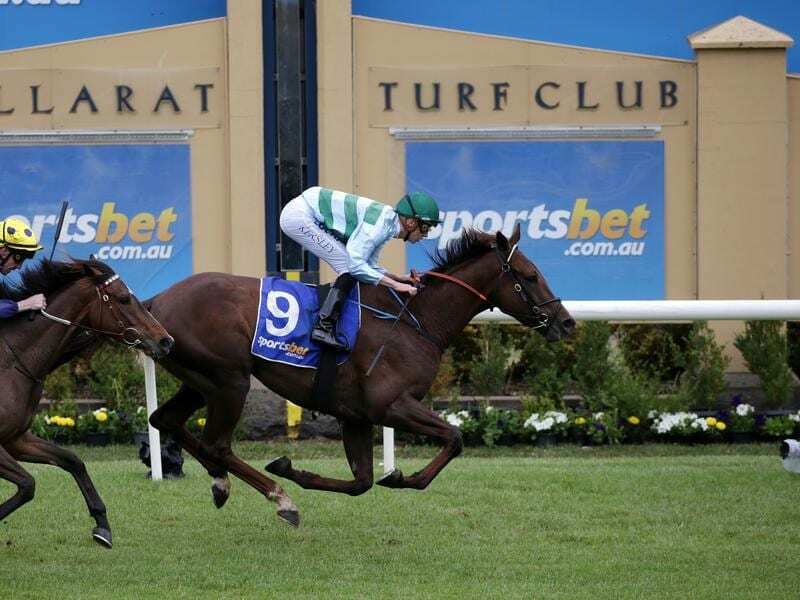 He has Fioritura contesting a Mornington race on Friday ahead of North Africa running over 1600m before Khartoum’s attempt at the Pakenham Cup. “The stable is going well. We just need another winner,” Carey said. Khartoum was rated a $16 chance on Thursday with the Ciaron Maher and David Eustace-trained Dal Harraild the $2.60 favourite. The Ballarat Cup winner, the Darren Weir-trained Kiwia, has been well supported, firming from $5 to $4.40. Carey says Khartoum deserves a shot at Saturday’s race while admitting this year’s race looks a stronger version than last year. Along with Dal Harraild and Kiwia, the field boasts last-start Sandown winner Tally ($9.50), Geelong Cup winner Runaway ($14) and Ballarat Cup runner-up Pilote D’Essai ($13), who won the Pakenham Cup in 2016 when he led throughout. Carey said Khartoum had trained on well since his Ballarat victory, which the trainer described as strong, and that the rise to 2500m would be beneficial. “He ran well in the race last year, when beaten a head, but I think this year’s race might be a stronger race,” Carey said. “But I’m very happy with the way the horse is going and he’s found form at the right time and I’m sure he’d be a lightweight chance in the race.